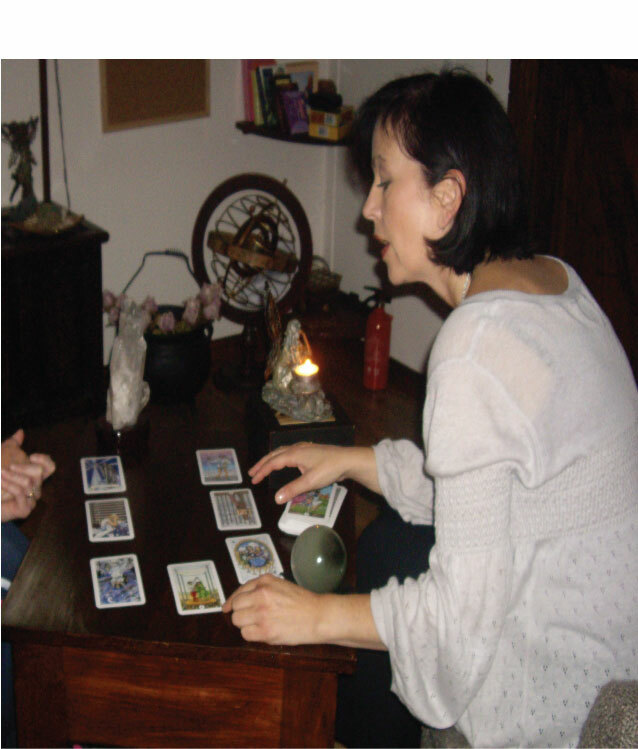 I began my Tarot Apprenticeship and Spiritual Journey Journey in 1997 when I bought my first Deck of Rider-Waite-Smith Cards in The House of Astrology Shop in Dublin, Ireland. I had already started out on this journey as a young child but it only truly came to life when I was first introduced to Tarot. I quickly discovered that the Little White Book (LWB) that accompanied my Tarot Deck was vague and confusing. I remember reading through it on the bus home from town. The little book contained just lists of keywords and I felt overwhelmed. Was I expected to remember them all? I struggled with the Little White Book for some time until I threw it aside in frustration. Dublin and Ireland back in 1997 was not exactly the Metaphysical or Tarot Capital of Europe. It was very difficult to find any information about Tarot, let alone find someone who was teaching it. I didn’t have the internet either so had to conduct my search for a Tarot Class in the good old-fashioned way of getting out the Yellow Pages and searching through the listings to see if anything was remotely linked to Tarot. I eventually found The Astrological Association of Ireland in Rathmines, Dublin and lo and behold they were running a 6 week Introduction Course to Tarot. I couldn’t believe it. Several phone calls later I eventually found someone who knew something about it. I booked my place on the Course and felt really excited about it all. I had to travel from Kildare to Dublin but it didn’t matter. The course was wonderful and taught by a very young guy who had been doing the Tarot since he was a child. There were no notes or handouts so we had to take our own. I still have mine scribbled in indecipherable writing. Our tutor spoke fast so we had to try to keep up. I learned a lot and it really gave me a wonderful foundation for moving forward. He introduced us to The Elements, Numerology and Colour Meaning before anything else. He believed that it was essential to have some knowledge of the above disciplines before approaching Tarot, as without them it would be hard to understand and comprehend how they worked and linked together. It was all new and incredibly interesting. When the course was finished there were plans for a follow-on one which would be more advanced. Unfortunately, the Tutor had to go away and the organisation could not get anyone else to replace him. It was back to me once more and I certainly had no intention of going near the LWB again. And so I began to search book stores for Tarot books and every time I managed to stumble across one (not very often), I would quickly buy it. I started to read one book after another and soon realised that not all the authors were in agreement about what certain cards meant, and some had assigned the Elements in a different manner to the way I had been taught. Some books gave simple explanations, while others were very mystical and hard to follow. I just didn’t understand what they were talking about and had no idea how to apply their interpretations to my Readings. Well it went on like that for some time and my book collection increased. I realised that Tarot was quite a complicated form of study and there were times I felt like throwing it aside. Just when I thought I was getting somewhere, knew my Cards etc. I would do a Reading for a friend, and when the Spread was laid out in front of me, I wouldn’t have a clue what any of the Cards meant. Fortunately, as time went by, the ‘penny began to drop’ and I found that I was compiling an eclectic understanding of the Cards based on all the books I had read. I was not following one particular method but had managed to blend several together that suited me and sang to my spiritual senses and subconscious understanding. I must admit, there were some books that were never opened again as I believed the Author was not really writing for his audience with a view to helping them learn the Tarot, but rather using the book as a platform to showcase his or her amazing and confounding mystical knowledge. These books were certainly for people who already had a long standing connection and deep understanding of such spiritual language. They were not for the likes of me who was only starting off, and other than having a massive interest in everything psychic and paranormal, I really was quite clueless about the whole thing. I knew nothing of Auras or Chakras back then. As time went on, I slowly began to assimilate all the information but continued to just read for myself, still unsure and lacking in the confidence to Read for others. However, as people around me began to become aware of my hobby, I was obviously approached for Readings. To say I was reluctant was an understatement; I was terrified of making a fool of myself and being ridiculed. I have always being a bit of a worrier, and whereas people would say to me ‘don’t be silly, it is all just a bit of fun’ I would take it very seriously, and when I really couldn’t get out of doing a Reading for someone, I would spend the night before reading up on all my notes and books as if I was cramming for an exam. The pressure was on to perform, and that was pretty scary from where I was sitting, Ms. Perfectionist. The Relief once the Reading was over was always enormous and I would chide myself for being worried about nothing, and actually looked forward to being asked to do another. However, once there was a gap of a couple of days or weeks, my nerves would be back and I would be convinced I would be a total failure. The Feedback from my Querants was always wonderful, but I still felt I could have done better each time, and would always think of the amazing things I could have told them when I was lying in bed that night, going over and over the Reading in my mind until I was near to distraction. This attention to detail and being very conscientious about giving value for money drove me to study further and further. I wanted to know more and more. When I hunted for books I started to avoid any titles that promised an easy ride. Not for me the books that were titled ‘Simple Tarot’ or ‘Tarot Basics’. No, I wanted the heavy tomes, the ‘Advanced Tarot’ or ‘The Master’s Tarot’. The bigger the book the better. Now I felt like a real student, a true and proper Apprentice of The Tarot at last. Before I knew it, years and years had passed and I was now doing a lot more Readings for others. I was approached by Groups for Parties, charity nights and of course, organisers of Holistic Fairs. I was taking clients privately and also travelling to do Party Nights in people’s homes. However, the more my work developed the less and less I was drawn to the quick turnaround Readings that are required at group events. I didn’t like doing ten minute readings with a queue of people waiting for their turn. I felt it was very impersonal and way too pressurised. People wanted you to tell them everything about them and their lives in that time. It wasn’t too bad if they had an actual question lined up that they were focussed on, but most of the time they didn’t know what they wanted other than you to tell them some interesting things about their future. Very few were looking for serious constructive Readings, but rather just a bit of entertainment so that they could all share their stories later on. I stopped doing Fairs and Party Nights after a particular nasty occasion when the venue that booked me and other Readers failed to tell their guests that the Readers would only be available for a certain amount of hours. I was booked from 6pm until 10.30pm. It doesn’t sound like a long time, but it is quite hard going when you are doing conveyor belt style Readings for a very demanding audience. As 10.20 approached that evening, I knew that I could fit in just one more Reading. I had just finished a Reading and looked up at the people who were still waiting. In my queue alone there must have been about twenty people all looking very expectant. I looked to the other queues and saw similar scenes. I noticed that a couple of the other Readers had gotten up off their chairs to speak to each other. Word filtered down the line to me that no one had informed the guests of our finishing time. A couple of Readers had other places to be, or had arranged taxis or lifts home. They announced to the people waiting to see them that they would be taking one last Reading. After that they intended to finish. The people in the queue were unhappy and started speaking out loud, saying it was a disgrace and were annoyed about how long they had waited. As the Reader cleared her table trying to ignore their comments, many in the queue jumped ship and hopped over into the other queues. Of course as each Reader finished their current Reading they announced the same and started to clear their tables. The guests were close to starting a riot and one Reader was pushed by a woman who demanded a Reading. She got very angry. The Reader, a little unnerved sat back down and did a Reading but said it was definitely the last one of the night. Very shortly there were only three Readers left, me being one of them. There was no sign of any of the venue management around, and bar staff said they couldn’t locate them. I and another Reader agreed to stay for a further half an hour. Even at that, there was no way we were going to get through the throngs that still remained, determined to have the Reading they had come for. Well my half hour came and went. I had nothing to eat all evening, my water-glass was empty and I had needed to go to the bathroom for a long, long time but just couldn’t leave the table. I was exhausted and had nothing left to give to a Reading. At midnight I announced that the next Reading would be my last. Of course the next in line was very happy but the crowd behind erupted. One woman who had a lot to drink at this stage came right up to my face and told me that I was going nowhere until I did her Reading. I am telling you, this was turning into a nightmare and I thought to myself, how can I possibly read for someone after this? Does she really expect to get a good reading out of me after screaming in my face. Thankfully, the scene brought most to their senses and they started to drift away mumbling and grumbling under their breath about how disgusted they were. When the aggressive woman eventually sat down she was all sweetness and light and wanted to know about her relationship. I just put my professional mask on and smiled back. I am not sure what I told her that night as I was shattered, but I remember putting my cards away afterwards while doing my cleansing and protecting (a double one after the night I had!) and thinking to myself, never again, never ever again. I never did do it again. Instead I stuck to what I enjoyed and what I was good at. I stuck with my private clients and anyone who has ever come to me for a Reading knows that they can go on for quite some time. My Readings, or Tarot Consultations last anything up to 2 hours and occasionally more depending on the circumstances. I tend to have a lot of repeat clientage who like to monitor their progress in life by consulting the Tarot on a regular basis for advice and guidance. This type of regular client usually is on a mission to change something in their life, or have set very strong goals that they are determined to realise. For many of these clients they see it as no different from going to a psychotherapist, life coach or counsellor. They are looking to implement positive change in their life by letting go of, and leaving behind, negative attitudes, behaviour and unhealthy relationships. They use the Tarot initially to highlight their issues and to reveal the underlying roots and subconscious aspects that are influencing the continuity of the undesired lifestyle. In these initial sessions much is discussed in a very open and frank manner. If they want change they must be prepared to accept the truth of them self and take ownership of their share of responsibility. It is in the initial Readings that a plan of action begins to form, and with it, a strong recognition of any weaknesses within their personality that need to be addressed and re-programmed. The Tarot will give quite strong and powerful statements to those who are ready to listen. The initial Readings empower the client with the knowledge and tools to begin the process of putting their life in order and heading in the desired direction that will ultimately help them achieve their goals. Slip-ups, the reappearance of negative habits and unhealthy external influences will be showcased with the appearance of Reversed Cards and their particular Unwelcome Cards. Through the Tarot, the client will become aware of key areas that have to be monitored closely in order for them to keep with their plan or programme for positive change. Negative personalities or influences will be represented by Reversed Court Cards and the Client will generally be well aware of who these people are. The Tarot will help give them a ‘bird’s eye’ view of their life which is tremendously useful. By the end of their Reading, they have strengthened their resolve and have discovered a more in-depth knowledge of the self. They leave in a much better position than when they arrived. I have a long-standing client whose mission or goal is to keep The Reversed Page of Swords out of his Readings. We both know at this stage how miserable life can get for him when he allows The Reversed Page of Swords take control of his thought processes and actions. We have worked hard over a long period with The Tarot to steer him away from the influences that trigger the arrival of The Page in his negative aspect. By working with the Fire Element and Wands in The Tarot, we have managed quite successfully to slowly but surely eradicate the dark, angry and overly analytical, hyper-critical nature of the Reversed Page of Swords by introducing the sunny, warm and fun aspect of Wands. The Wands have continuously turned up in his Reading as an antidote for such seriousness, and for some time The Reversed Page of Swords disappeared entirely.He was replaced by The King of Wands who was in charge of his life and full of enthusiasm and positivity. My client was overjoyed by this turnaround and was determined to follow the guidance The Tarot was offering. He was encouraged to welcome fun, spontaneity and laughter into his life, instead of the constant seriousness and moody attitude he was inclined to. The King of Wands advised him to not dwell on things so much and to get out and about a bit more, even take a holiday, or god forbid have an adventure. Each time my client came back, I would know before we drew the cards whether we would be seeing the Reversed Page of Swords or The King of Wands. It would be quite obvious by his demeanour. I would greet him at the door and take one look and say ‘oh dear, you better come in and tell me what happened’. Sometimes The Page of Swords would turn up in his Upright mode and this would be seen as a good sign. It showed us that he was managing to control the influence of this Page by putting him into perspective and not letting him take over. The Page of Swords in his Upright Aspect is quite acceptable, if not a bit immature for a grown man. Regardless, it was a sign of improvement that my client was beginning to recognise the triggers that flipped him into Reversed mode. This knowledge gave him the power and the skills to intervene before The Reversed Page of Swords could get his foot in the door. So you can see, for me, my private Tarot Consultations were what I was best at. Many, many Readers enjoy doing parties and fairs but they were not for me. At this stage of my Tarot Career I had begun to take an interest in Reiki Healing. My introduction to Reiki came about in a very strange manner. Let me tell you. Back in 2005 my father was gravely ill. He had been battling serious health conditions for many years and had been on dialysis for some time. By the Christmas of 2004 his condition deteriorated and he eventually was hospitalised on a full-time basis. By April of 2005 he could no longer tolerate his dialysis and his medical team made the clinical decision to withdraw all further treatment. We as a family were informed that once the dialysis stopped it would only be a matter of time before toxins and fluids accumulated in his body. This would result in his death. There was nothing more they could do for him except to make him as comfortable as possible. Obviously we were very upset but had to accept the inevitable. We were told he would last a week at most. May father managed to last a whole month. During this time of waiting we kept up a bedside vigil and made sure he was never left on his own. We took turns staying overnight with him and when we could all get together we would fill his room, and at times it got very lively indeed. In the final week of his life, I was spending the day with him. My sister was also with me. I sat on one side of the bed and she the other. I took hold of his hand and started talking to him. My father was in a coma at this stage but we chatted away in the hope that he could hear us. While holding his hand, I suddenly became aware of a strong vibration coming through my hand. It was so strong that I pulled my hand away in fear that I had disturbed some machine that was attached to him. I looked but couldn’t find anything that was causing the sensation. My sister asked what was wrong and when I told her she came around my side of the bed and held my father’s hand to see if she could feel what I was talking about. She felt nothing. I took my father’s hand and sure enough, within seconds the vibration was back again. This time I felt as if the bed was vibrating too. We checked with his nurse to see if he had one of those hospital beds that gently move to facilitate blood circulation. She confirmed he had a normal regular bed. Slightly puzzled and intrigued by this, I put my hands on his hand again and there it was, the strong vibration. I decided to sit with it and see what happened. Within a few minutes, the vibrations started to travel up my arm and that is when I felt the strong ache and pain. My whole arm felt arthritic. I took my hand away and instinctively shook it. It took some seconds but the pain went. I was now beginning to make a connection between my father and this energy. I was picking up something from my father, and whatever it was hurt. I placed my hand back and there it was again, the pain too. No one else in my family could feel it. The week moved on and each day I came to sit with my father. We were all exhausted. Most of us were working during the day and sitting in the hospital for the night. It was tough on us all. Each day, I also took up the same position beside his bed and held his hand. Within seconds the vibrations would start and then the pain. By this stage, my gut feeling was telling me that I was picking up on the disease and toxins within his body. I called it energy and told my family that it felt heavy and sickening. Then one day later that week I came to take my turn with my father. I took his hand and held it while my sister and brother prepared to leave for home. I held it but felt nothing. The vibrations were gone and I became startled. I announced out loud that ‘Dad is gone’. My sister and brother got an awful fright and thought I meant he had passed. I suppose I did mean it in a certain manner, but what I was trying to convey was that his vibrations were gone. I had, within the space of a week realised that what I was feeling was his energy field, sick and all as it was, it was his energy field. However, now there was nothing. Even though his monitors showed his stats were still functioning, I believed that he had checked out on some level or was about to. I had a strong feeling that he would be taking his leave of us very soon. As another few siblings arrived, I told them of my feelings. All were miserable at the sight of our poor father’s prolonged suffering. We now wanted his release. He had been in hospital continuously for nearly 6 months and most of that time he had been terribly ill. As we were sitting there, my father took a loud deep breath and exhaled. He didn’t take another breath immediately so we all jumped up and became very anxious. Suddenly he breathed again and it settled back once more into a steadier rhythm. We called in his nurse and she fetched his doctor. My father was thoroughly examined and the doctor came to see us. He told us that my father’s brain stem had died and medically he should have died with it but that sometimes the body, out of habit, just continues to carry on. He said that the physical death would not be far behind and that we should prepare ourselves. So his heart was beating, he was still breathing but once the brain stem had died, that was it. All the family were called and we sat with him. I held his hand again, hoping to feel something but there was absolutely no sensation. I believed my instinctual feelings had been right. My father had checked out and now he was just waiting for his physical body to realise that. A young niece of mine in her late teens came to sit with us that afternoon and while we were all talking, she suddenly got startled and jumped up off her seat. She said that she could see a blue light flashing about in the room, darting from one side to to the other up near the ceiling. I looked but could see nothing, yet I just knew it was my father. He had been released from the prison of his diseased body and was taking great advantage of his new-found freedom. He was watching us all in the room and no doubt looking down on his body in the bed. Down in my mother’s house not far away, and close to the same time, our dogs went mad barking in the house while staring up at the ceiling. My father had come to pay his beloved pets a visit. He hadn’t being able to see them in a long time. Some months after my father’s passing I was going through a tough time. I was working hard, had a young son and was not sleeping very well at all. I also had a problem. My hands were driving me mad. They kept tingling and at times felt burning hot. It happened a lot in work when people came up to my desk. They would be talking to me and suddenly my hands would go berserk and I would have to start scratching them. On top of this, my head started to feel pressurised and I noticed that as I walked through the building and encountered people or other staff members the pressure and tingling would change from mild to intense, to strong and mild again. Then I noticed that it was not just people but also rooms that affected me. Just crossing the threshold from one room to another would be enough to make me dizzy and uncomfortable. There was one room where all the computer file servers where installed. This room also housed several desks where staff worked on a daily basis. It got to the stage where I could not stand in the room for very long. My head would become so heavy and my eyes so tired that I would feel like collapsing. I hated having to go in there and wondered how any staff could bear to work there. I didn’t know at that time that I was picking up on all the energy that surrounded me. It was wearing me down and making me exhausted. One day at the school gate when I was picking up my son, I spoke to a friend of mine about my experiences. She was a very open-minded girl and I knew she would not think me mad. Instead she gave me the number of a woman who she said was a Healer. She told me no more but to give her a call and make an appointment. My friend had lost her dad some months previously and told me that this Healer had helped her immensely. Needless to say, the piece of paper with the number sat in my bag for a couple of months before I actually lifted the phone to make an appointment. I was suffering terribly with insomnia and was at my wit’s end. She told me she could fit me in the next day and I was delighted. It turned out that she didn’t really live that far from me which was an extra bonus. I arrived for my appointment and was taken to a room where there was a couch, an armchair and a plinth. She had candles lit and some incense burning. I really didn’t know what to expect but was excited about it all. We spoke for some time and during the course of our conversation I divulged the experiences I had encountered while my father was ill and dying. She did not seem in any way shocked or disbelieving. Instead she nodded and clapped her hands together with a big smile on her face. She wanted to start the healing as soon as possible so guided me to the plinth and settled me comfortably on it, covering me with nice warm rugs. She turned on some soothing music and told me to close my eyes and relax. She began the healing, moving around my body, sometimes placing her hands on me, sometimes just holding them above me. I felt very strange sensations of tingling, warmth, buzzing, and a lovely sleepy floating feeling. As she moved through the healing I began to feel my hands light up and a strong current of air flow through them. This current got very strong and I kept stretching my hand to relieve some of the pressure. When the healing was over, she helped me sit up and she asked me how I felt. I couldn’t really talk because I was more interested in the orbs of brilliant white light that were moving around the room. I blinked several times but still they were there, some quite large while others no more that sparks of light. I told her what I was looking at and she just smiled and informed me that I was seeing energy and that white light was a very good thing to see as it contained all the colours of the spectrum. She saw me look at my hands and asked me what I was feeling? I told her that it was the same as I had informed her about earlier on but much, much stronger. It also appeared to be flowing out of me instead of just building up in my hand. The Healer sat me down and explained to me what was happening. She believed that I was a Natural Healer and that my abilities had remained dormant for many years until my father’s illness had triggered them. She told me it was a wonderful gift, but I told her that I found it annoying as it was making me feel very tired and unstable. She explained that was because I had not learned to control it or to ground myself. She advised me to seek training in healing as I would have no peace until I did. I suggested that she train me but she declined telling me she was soon due to leave the country and travel the world with her husband. She told me that I was her last client before she left. She also assured me that If I set the intention for the right teacher to appear, then it would happen. And it did. I spent the next few weeks trawling through the internet reading up on all forms of healing and various schools and tutors. I settled on Reiki Healing and a tutor who again turned out to be not that far away from me. I emailed the lady I had my healing from and ran it by her. She sent an email back to me saying that he was the exact person she had in mind for me but that it had to be my decision and not hers. She was delighted and asked me to pass on her good wishes to him. It was explained to me that Reiki was taught on Three Levels, with the first being Reiki Level I, then Level II, followed by Level III which was the Master and Teacher Level. The Reiki Level I I was booked in for was to be taught over the period of one weekend. It involved being attuned to the Reiki Energy, followed by tuition and practice healings. I was very excited and really looking forward to the whole experience. My Reiki weekend eventually arrived and I drove excitedly to the venue. When I got there I discovered I was one of approximately 20 other people who were there to be attuned to Reiki just like me. There were more women than men which didn’t really surprise me, but I think at this stage more and more men are getting involved. The morning started with some light refreshments and mingling so as to get to know who we would be working with over the weekend. The group you are attuned with are very significant as over the course of the weekend there are so many energies interacting with each other. It is wonderful if everyone is on a similar wavelength as it creates a very special atmosphere. Our tutor was very professional and made sure the day started on time. Each of us got a turn to introduce ourselves and if we wished, give our reasons for being present that day. There were many stories and people from all walks of life who were drawn to Reiki for one reason or another. For most, it was to help heal them self, but for others, they were being attuned in order for them to help a family member who was ill.
Our tutor then began to give us some background information on Reiki and explained to us what it was and how it worked. He did not go into very much detail as he said it would be introduced to us bit by bit over the weekend. He did not want to overwhelm us with a vast amount of Spiritual stuff first thing. What he wanted to do was get on with the Attunement. He gave us a rundown on what we might experience during and after the Attunement. He then sat us all in a circle but with our backs to the centre. He asked us to be silent as he wished to centre himself and get into a meditative state. We all sat very quiet and still, all full of anticipation and expectations. Our Tutor then entered the circle and began attuning one person after another. As he made his way around the circle I became aware of a strange sensation. I felt off centre, slightly detached, and my head was swimming. I could feel wafts of something coming in waves across the top of my head. Suddenly the tutor was behind me and tipped me on the shoulder just to let me know that my Attunement was about to commence. As he stood behind me, I could feel intense pressure in my head and also as if I was being forced forward off the chair. He then began the Attunement and the sensations changed once more. I saw swirling colours in front of my closed eyes and had a floating sensation. I felt as if I was separating from the chair and moving upwards, a bit like levitation. My stomach turned a bit nauseous from the sensation and I grabbed hold of the seat of the chair so as to hold on. Within minutes my Attunement was over and he moved on to the next person. We had been instructed to remain seated until the last person had been Attuned as it was important not to break the circle of energy that had built up. He eventually announced he was finished but asked us to sit quietly for a while and meditate on our Attunement. I still felt woozy and held onto the chair because I thought I would float away if I let go. After a few minutes he told us we could all begin to move around, but slowly, stretch our legs and re-connect. I was a little unsure about standing up as my head felt all over the place. When I did stand up, I had to steady myself against the wall. I felt drunk or that I was on a ship in a turbulent sea. I tried to walk but the floor seemed to move. The tutor saw this and sat me down. He explained to me that I had had a very strong reaction to the Reiki Energy and that it would take some time for it to integrate fully into my system. Until then I would have to do daily specific grounding exercises as it was the only way to bring me back down to earth. I certainly was somewhere else other than earth. My head was full of buzzing pressure and I was out of it, spaced out and away with the faeries. We then sat in a circle and each of us got a turn to describe our experiences. Some had similar reactions, others a more gentle effect, and then there were some who felt absolutely nothing. These people were concerned that they had not been attuned properly or that something had gone wrong. Our Tutor explained to them that the Attunement had a different effect on everyone and that even though they had felt nothing, they still had been Attuned to Reiki. However, it may take longer for them to achieve a strong flow, and they would need to practice it daily in order for the channels to fully open. Then they would feel its power. The rest of the workshop involved us watching Reiki demonstrations and practical work. We were paired up and got to do our first Healings on each other which was very special. I could actually feel the energy flowing from hands and my partner on the table could feel it too. It was a tremendous experience. We had another day to complete so our Tutor sent us home and told us to get an early bed as we would be exhausted after all the energy work we had done that day. I drove home on a high and when I got to my house my little dog Lillie was looking expectantly at me. She was used to going for a daily walk and she hadn’t had it yet. Tired as I was I felt that maybe some fresh air and a walk in the forest would be just what I needed to clear my extremely heavy head. So, I put her in the car and headed to my local forest. When I am in the forest with my dog, I don’t like taking the routes most people take. In fact I do not really like encountering anyone when I am in the forest and so head off the beaten track and into the depths of the woods were few people wander. My dog Lillie ran ahead of me as usual and I followed. I was still unsteady on my feet and top-heavy in my head. My tutor had instructed me to sit down among the roots of a big old tree and close my eyes. I was to visualise myself becoming one of the roots, part of the tree and then I was to imagine myself burrowing further and further down into the ground and anchoring myself, as a root, around a big boulder deep, deep in the earth. He said that this would help me to ground. I would find a suitable tree once the walk was finished and spend some time doing as he had suggested. As I walked on I started to become aware of strange things happening around me. I began to get startled by every bird that called out form the tree. The thing is that each time they called out I felt as if they were right beside me, it was so loud even though they were high away up in the trees. I then noticed that each twig I stood on sounded like a firecracker going off. The whole forest seemed to be very loud indeed. Even the gentle breeze sounded like a gale. I realised that my senses had heightened, my hearing had become extremely sensitive to the slightest noise. As I walked further on, drunk and all as I felt, I kept seeing something out of the side of my eye and would turn around and find nothing. It kept happening. I decided it was time to go home and I would do some grounding exercises at home as I felt a bit unnerved by what I was experiencing. After all, I was deep in the forest and no one even knew I was there. At home, the noise sensitivity remained, and so too the seeing of things out of the corner of my eyes. I felt exhausted and went to bed early as I had another full day of Reiki ahead of me the next day. That night I had strange dreams and also a very strong out-of-body experience. I have had out-of-body experiences for years but this was very powerful indeed. The next day I arrived early as I wished to discuss my experiences with my tutor. He did not seem at all disturbed and told me that they were all quite normal. He said that some people experienced a shift in their perception of the world around them as their senses became extremely heightened. The hearing thing would settle in a few days as the Reiki integrated into my system. So too would the eye thing. He explained to me that the Reiki had caused a shift in my peripheral vision, again not uncommon after an Attunement. He said that when it happened, the range of vision widened and it was possible to see things that normally one would not be able to unless they turned their head and looked around. He explained that was why I was confused, and thinking I could see something out of the corner of my eye. He said that too would settle after a couple of days, but it was very important for me to ground. The Rest of The Workshop gave us more healing practice and also a lot of meditation to help us settle into our new roles as Reiki Healers. At the end of the day we received our Certificates and went on our way. As a group we were expected to come back every two weeks to do Reiki Exchanges which would help us gain our confidence as Healers and smooth out any issues or doubts we had. Believe me, it took some time for my system to settle down. I was picking up energy from everywhere and at times it was so strong I felt like I would be sick. I used to be involved in a school run and on my days my car would be full of loud chattering young kids, my son included. I would feel all their energies and by the time I dropped them to school, I could barely walk. I would then drive to the forest, walk for some time and then find my big oak tree and sit in its roots until my system calmed down. My out-of-body experiences continued on a nightly basis. For the first 21 days after being attuned to Reiki, you are expected to do a daily healing on yourself. This was to help integrate the energy and to open the Reiki Channels so that the energy could have a strong flow. It was also essential for self-healing purposes. Reiki I is all about healing the self first before attempting to heal anyone else. The 21 days daily self-healings helped remove any negative energy and blocks that might be preventing our bodies and mind from working in a balanced and healthy manner. These self-healings were amazing. As soon as I put my hands on my body, I would be able to feel the rush of energy flow through me. It was so strong at times it felt like I had been connected to a battery and was getting charged with electricity. I would completely zone out as if I was heavily sedated. As the Healings progressed, I would feel the energy flood down my legs and out through the soles of my feet in a cool jet stream of air. It really was something out of this world, quite amazing. In time, my body began to get used to the energy and the sensations were not as strong. During the 21 days self-healings I did a lot of crying. I would be working on my Heart Chakra and suddenly a huge swell of emotion would come up my throat and burst out. I would sob heavily until I was exhausted. This was the Reiki helping me to release all the pent-up emotion and grief of my father’s death. And so life began to settle down and I started doing Healings on family and friends, who all thought it was amazing. I then entertained notions of setting up a Healing Practice. To become a Professional Reiki Healer, one must complete Level II. I waited several months before I approached my tutor and asked for his advice. He decided that I was ready and a date was set for my Attunement. My Level II Attunement did not have the same powerful effect on me as Level I, and my Tutor explained that this was because I was already used to the energy. It was no longer new to me but that the Attunement opened the channels further allowing more Reiki to flow. I was now in a position where I could offer Reiki to others, other than family and friends. I allowed some months to pass by as recommended by my tutor. The Level II Attunement, like Level I would take some time to integrate and I should refrain from doing Healings on others until then. Doing as I was told I waited, and when I felt the time was right I set up a Reiki Healing Practice alongside my Tarot Consultancy. I now had something else to offer my clients. Business was slow at first because people were still unsure of Reiki, and the Catholic Church were very much against it. However, I persisted and slowly but surely I began to get enquiries and then bookings. I loved doing Reiki Healings and the results were amazing. I saw people’s lives completely turn around. It was almost miraculous at times. Some people who came to me with long-standing chronic conditions were cured over night, others got better over a period of time, while some people thought they needed healing in a certain area of their life only to discover that the root cause of their dis-ease lay elsewhere. Reiki rooted it out and cleared away negative attitudes and suppressed emotions so that it freed the person to live in a positive and healthy manner. It also helped people cope and deal with terrible issues outside of their control. Over my time as a Healer I encountered some shocking and traumatic situations of childhood sexual abuse, drug abuse, attempted suicide, suicide, tragic accidents, assault and even murder. These were situations that had a detrimental effect on not only the individual involved, but also on surrounding family members who were living on a knife-edge of stress and worry. Reiki undoubtedly helped. I remember one client of mine, a young girl. She was suffering from terrible depression and had thoughts of suicide. Her mother asked me to see her and try to help as she had been to counselling and was also on medication that did not seem to be doing her any good. She had missed months of school and seemed to be going downhill. I was a bit anxious taking her on as this was my first really serious case and I was afraid I would be out of my depth. I asked her mother to get the go ahead from her doctor and mental health professional before I would agree to see her. On her first appointment with me, we talked a bit at first. I didn’t want her to think that this was just another counsellor trying to get insider her head. I just wanted to get a feel for her and asked her what she knew and thought about this whole Reiki thing? She didn’t communicate very much so I decided to push on with the Healing. I explained first the process and what Reiki was. She seemed indifferent and I got the impression that this girl had done the rounds of many therapists. She was bored and unimpressed by it all at this stage and doubtful if anyone could actually help her. I put her up on the plinth and covered her with a nice warm rug. I first scanned her body with my hands just to get an idea of what her energy field was like. It felt heavy, tacky and my head began to ache. She was carrying around a heavy cloak of negative armour within her energy field. It would be hard to penetrate it but that was Reiki’s job and not mine. I had to let it do its own thing. During the scan, she lifted her head and asked what I was doing? She said she felt some strange sensations and didn’t know what was going on. I told her to relax and that it was all perfectly normal. I began the healing and as I worked around her I started to feel very cold. The room was nicely heated but I could feel a terrible chill flooding through my body. I looked down at her and she appeared to be asleep, her breathing had become very shallow and there was a slight snore every now and again. I got colder and colder as the healing progressed, and when I got to her hands, they felt ice-cold like marble. I got quite a fright and quickly checked to see if she was okay. She was heavily asleep. I got extra rugs and placed them on top of her. Calming myself down I realised what was happening. Heavy, negative energy always feels cold as it is clearing from the body. In fact, as it is clearing it is not uncommon for the person to feel frigid air around them and pouring out of them. This girl was releasing a considerable amount and that reassured me. However, I knew she would also experience strong side-effects from this, as that amount of release could throw anyone into a healing crisis. I was concerned she might be very vulnerable for some days after the Healing. It took me some time to wake her as she was deeply asleep. When she eventually woke up, she was disoriented and confused. Her body felt heavy and also very cold. I told her not to sit up too soon. I then saw her smile and she lifted her hand to her face. She told me that she could not remember the last time she slept so deeply. She said her body felt like a tonne weight, but also felt extremely relaxed and chilled. I helped her up slowly and gave her some water. As she was getting off the plinth, I noticed her teeth beginning to chatter. Then her body began to shake and shudder. She had gone into involuntary trembling. Between chattering teeth she told me that she was absolutely freezing cold. I got extra blankets for her and brought her closer to the heater. She still shook and I was worried about how long this would go on. I called in her mother who was a bit shocked when she saw the state of her daughter wrapped up in layers of blankets. I explained the Healing to her and the side-effects of heavy negative energy leaving the body. I told her that I could not tell her how long the cold and shaking would go on but that she would be continuing to release trapped energy for some days to come. I sent her home with the blankets still wrapped around her and got her mother to promise that she would ring me later to inform me of her condition. I was very worried after they left and was on tenterhooks waiting for the phone to ring. Her mother rang me later that night and told me that she had put her into a warm bath and then sent her to bed with a hot water bottle and a warm drink. She had fallen asleep almost immediately and was still sound asleep. She assured me she would phone me in the morning with an update. I didn’t sleep that night. I was terribly worried. Had I helped her or had I made things worse? I rang my Tutor, My Reiki Master, the next day and he didn’t seem concerned at all. In fact he said that I had done a good job and that the girl would feel much better with all that muck out of her system. The phone rang later that day. It was the girl’s mother. The girl had slept until midday that day and had woken starving even though one of her issues was her disinterest in food. She also felt incredibly exhausted and could barely get out of the bed. I was semi-relieved. My advice was to not to force her to get up but to go with whatever way the girl was feeling. If she was tired and exhausted then she should rest, that it was all part of the healing process. Her mother said that she had never seen her so calm and relaxed in herself and thanked me. I warned her that it was still early days, but that it looked hopeful. Well, the girl continued to visit me on a weekly basis, and each time the Healing would result in both me and the girl being freezing cold. However, it was never as bad as the first time. After about a month of healings her mother came to see me. Her daughter was back at school and her counsellor was very impressed with her positive attitude. Her doctor had also taken her off her meds and she was now standing on her own two feet. I was delighted and wished them well. I suggested to the mother that her daughter should continue her visits for some time as she would need to be supported during her recovery. Her mother said she would contact me but unfortunately I didn’t hear back from her or her daughter. That is until one night just as I was going to bed, I got a knock on my door. It was the girl and she asked if she could come in. She seemed very distressed. I sat her down and asked what was wrong? She explained that she had everything in place to commit suicide. She knew how she was going to do it and she had already written her letters to everyone. My first instinct was to call her mother, the doctor, her counsellor, whoever, everyone, but she insisted she would run out the door if I did. She said that I was the only one who had been able to help her before, and that she was now at my door to ask me to help her not to commit suicide. I was scared and unsure what to do. The girl needed a healing but my Healing Room was locked up and not heated. I did the healing there and then with the girl sitting in an armchair. The amount of frigid air that flowed from her was horrendous. After the healing she felt relaxed and much calmer in herself. She asked if she could now call her mother. I let her use my phone and I listened to her tearfully explain to her mother what she had been about to do. She told her mother where she was and would she come and get her. Her mother arrived in a state. I was in a state myself but tried my best to be composed and look as if I was in charge. I sat them both down and explained to them that the girl had deep-rooted issues. Her first batch of healings had helped her release the issues that were closest to the surface. Once they were gone she had gone through a Honeymoon period of feeling well in herself. She really had needed to keep up her healings even though she was feeling much better. The root cause was always much harder to access and would be the last piece to come to the surface. Saying this, sometimes, depending on the issues and their longevity, the root is not far from the surface and can be dealt with in a relatively short period of time, but for this girl her issues were of a very serious nature and were long-standing. Often what takes a long time forming, also takes a long time going. I told them that I honestly didn’t know whether what we were looking at now was the root of her problems manifesting in her desire to end her life, but the very fact that she had turned up on my doorstep asking for help meant that she was mentally healthier than she realised. It also meant that her Higher Self was stepping in and coming to her assistance. She wanted me to stop her, therefore she wanted to get better. That in itself was half the battle. Our healings started again and this time continued for months. The girl eventually got to a stage where she herself decided to take a break and see how things went. She suffered no relapses and felt very strong in herself. She was making plans for the rest of her life and needed to stand on her own two feet. However that was not the last I saw of her for she had become a very sensible girl and knew that she had a tendency to let things get her down. Therefore any time she encountered stressful times in her life, be it boyfriend problems or work related issues, she would call me and book in for an appointment. We called it her Maintenance Sessions. She certainly did not want to go back to where she had been, and was determined to let nothing bring her down to that level again. I still see her regularly and she is doing just fine. I have lots of other amazing Reiki Healing stories to tell and will get around to sharing them with you over the course of time. A time eventually came when I felt ready to move onto the next level of Reiki, The Master/Teacher Level. My Attunement to this Level was pretty uneventful as I had been working with Reiki for some time. On the other hand, the process of Attuning others, especially to Level II was quite complicated and one had to perform a serious of movements all at the same time. It would take some time to be comfortable with the process and I knew I would not be rushing into teaching Reiki anytime too soon. I had been working as a Practitioner of Reiki for some time after my Master/Teacher Attunement when queries began to come in relation to being taught Reiki by me. Clients who had been coming to me over a period of time decided that it may be beneficial if they were attuned to the Reiki Energy, and so begin treating themselves. Others realised how much Reiki had positively changed their lives that they now wanted to be in a position to help others too. I suppose my first students were clients of mine. After that word spread and in a short space of time I was Attuning Students who were new to me. I was now an official Reiki Teacher who held Reiki Workshops, tutored and handed out Reiki Certificates to my newly Attuned Healers. However, before I could really launch myself as a Reiki Teacher I had to ensure I was sufficiently prepared with a Reiki Manual and a structure to teach from. As with The Tarot when I first started off, I found that the notes given out for Reiki Workshops and Tuition were insufficient to my needs. In the beginning, I really didn’t understand what it was all about and needed to know more. Just like when I first began with The Tarot, I began to do more and more research into Reiki. I bought several books and found relevant information online. Forums helped me a lot, as during my course of treating clients and myself, I was coming up against things and experiences that I was unsure of, and certainly when questioned by my clients I was unable to give them a straight answer. As a result, when I was asked to teach Reiki, I decided I would write as in-depth a Manual as I was able to. I based my Manual on what I had been taught, what I had researched and most importantly, what I had experienced as a Practitioner of Reiki. I like to be thorough in everything I do so I wanted to ensure I passed over as much information as possible to my students. I wanted them to have at their disposal a Manual that could be referred to on an ongoing basis as their Reiki Healing developed. As usual I thought it would take me only a short time, but putting something like that together involved making sure I was covering as many areas as I could think of. One of the most concerning areas for newly attuned Reiki Healers is their confidence in being able to carry out a proper Healing, and also how to deal with clients, be they family or friends. All my working life had involved me dealing with the public from every walk of life. Dealing with clients was the least of my worries, yet for some students it was enormously concerning. As I wrote the Manual I wanted to make sure I covered areas concerning dealing with Clients before, during and after a healing, and not just the healing itself. I provided a step by step guide for my students so that they would be left in no doubt as to how to handle a healing from the beginning when the client arrives, to the moment they left. I also covered the area of preparing for a healing, both self and the space the healing would be conducted in. All of these are of great importance but very often overlooked. All too often I have gone for a therapy session of one sort or another only to arrive into a cold, dirty and airless room, and when I have asked to use the bathroom, have found it equally as dirty with either no hand towel or one that was long overdue a chang. I wanted to train my students to be as professional as they could on every level and not just when it came to doing the healing. I had worked in The Hospitality Industry in a very upmarket Hotel where first impressions meant everything. For me, a nicely heated Healing Room is a must, but it is surprising the amount of people who do not feel the cold, and therefore assume no one else does either. Believe me, when you are lying motionless on a plinth for an hour or more, sometimes with a rug and sometimes without, it can get very cold, and especially if you are releasing a lot of stale, heavy energy. It is vitally important to keep your client warm at all times. Chattering teeth do not add to a client’s comfort and they are unlikely to return for a repeat performance. Another area of concern for my students was explaining to their clients what Reiki was all about and what it was doing during a Healing. Again, I went into this area in detail as well as advising them what they might feel during a healing and afterwards. Psychic Protection, Cleansing and Grounding were other areas I gave a lot of attention too. I advised my students to read and re-read their Manuals often, even months after being attuned so that they would be well versed on all areas of conducting a Reiki Healing. There are so many Reiki Healers now who set up a Practice within days of becoming a Level II Healer and I believe this is inadvisable. From my experience of Reiki, all kinds of weird and wonderful things can happen throughout a healing and it is very important to be able to cope with them as they arise. Some Reiki Teachers offer Level I, II and III all over the space of one weekend, so not only are they becoming Reiki Practitioners overnight, some actually begin teaching it immediately too. My belief is that one has to earn one’s stripes, and therefore like The Tarot, must be prepared to be The Apprentice before becoming the Master. I encourage all my Students to wait for some months between Level I and II and at least a year, if not more, before being attuned to Level III. Then they should wait for some months before attempting their first Attunement. Reiki is a very powerful energy, takes time to integrate into the body system and must be approached with due respect. My advice to any of you who decide to become a Reiki Healer, is to do your research well. Ask any potential Teachers a variety of pre-prepared questions such as when they were first attuned to Reiki, when they became a Reiki Practitioner (level II) then a Reiki Master/Teacher, and how long they have been teaching? Ask also about any notes that will be given out and whether there is a comprehensive Reiki Manual available to students. You will be surprised at the number of Reiki Master/Teacher who supply no documentation at all and expect their students to take notes. This is totally insufficient and actually unsafe. My personally written Reiki Level I and II Manual will be made available on-line from this site in 2014. I will also be providing accompanying video tutorials which will enhance your understanding of Reiki and make you, The Reiki Healer more confident in your healings. There are certain Therapies that suitably complement each other, and when one is a Reiki Healer, Crystal Healing is a natural choice. If used properly, crystals can amplify the Healing Energies at work throughout the body. There are so many different crystals available that it can become quite confusing as to what one should be using for healing work. I was first introduced to crystals by my own Reiki Master who showed me how to use them in a healing once I was attuned to Level II. He used a certain few and placed them on and around the body. I had never paid much attention to crystals in the past, except to admire their pretty colours and shapes. I remember the first time crystals were used on me in one of our Group Reiki Exchange sessions. The crystals being used where small, some just little tumble-stones while others were rough and unpolished, in their natural state. The woman doing the healing on me placed the stones in their allocated places which usually correspond with the Chakra System. Other crystals can be used for clearing and charging the energy field and are placed in and around the body pointing in different directions. It really depends on what one is trying to achieve as to where crystals are placed and which direction they are pointing in. Because of this, some crystals were smooth and rounded while others had points or apexes. It was the crystal the healer placed on my Solar Plexus that impacted me the most. The crystals are put in place prior to the healing beginning. When you are using crystals in a healing you can generally feel their energy quite strongly once the Healer moves their hands over or close to them. As the healing progresses, it is as if the crystals are communicating with each other, and it is possible to feel the flow of energy within and around the body. This combined with The Reiki Energy can be quite powerful and sometimes almost overwhelming. The woman who was working on me started the healing and I began to feel very relaxed. However within a short space of time, I felt a heavy sharpness down around my Solar Plexus. I was not alarmed by this, but was curious as to what was going on. As the healing progressed, the sharpness became more distinct and I mentally zoomed in on it to see if I could work out what was going on. I suddenly realised it was the Citron Crystal on my Solar Plexus that was causing the disturbance. This particular crystal was not smooth and round. It was in its natural raw state, rough and with some pointed edges. It was when The Healer moved her hands over my Solar Plexus that it really took off. The crystal felt like it was trying to burrow into my skin and it really was hurting me. Although it was only a small stone and should have been barely noticeable sitting on my upper abdomen, it began to feel as heavy as a rock. I eventually had to ask the woman to take it off me as it felt like it was sticking into bare skin. Once she removed it, the pain went. We discussed my experience with our Reiki Master after the healing and he explained that sometimes the energy from a crystal can be too strong or just not compatible with a particular energy field. He said that it would have been interesting if my Healer had just swapped the stone for another one in the box. Not a different kind of crystal, just another version of the same stone. He said it probably would have been fine. 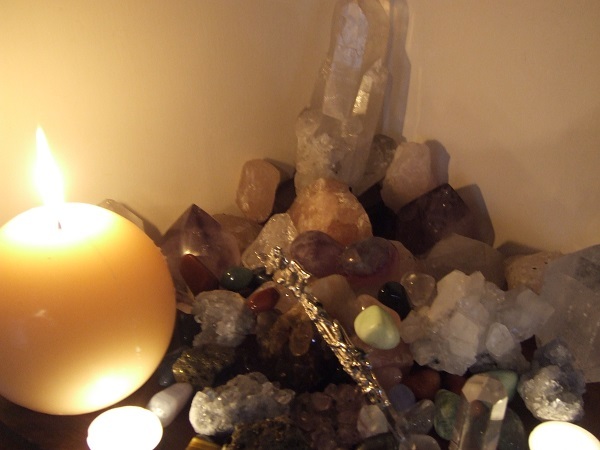 He also advised that I was obviously very sensitive to the energy of crystals and should play around with them a bit, get a feel for them and see what I thought. Since then I have made a point of using Citron on my Solar Plexus and it has never had the effect like it did the first time. That original crystal was not aligned to my energy field and was hurting rather than healing. It was probably perfect for someone else but just not me. This experience obviously piqued my curiosity and made me want to find out more about them. So I did what everyone does when they first become aware of the energy of crystals. I headed off to the nearest Holistic Store to purchase some. I was overwhelmed by the choice, and each glass box of crystals on display listed their qualities and uses. I chose several and made my purchase, but when I got home most of them looked alike and I could not figure out which was which or what they were to be used for. It was time to get to grips with crystals. I contacted my Reiki Master who told me that he would be running a simple Introduction to Crystals Workshop in the near future. It would be taught on the basis of using Crystals with Reiki. I signed up and thoroughly enjoyed the weekend workshop where I learned a lot. Hungry for more, I found a local Holistic Centre that ran regular Crystal Workshops run by a woman who had written a couple of books about them. I booked into the course and bought in advance the books she had published. The Author’s name was Jacquie Burgess, an English Lady, living in Ireland and again not too far from me. Her books, Crystals for Life and Healing with Crystals were really great reads and her Crystals for Life book had wonderful pictures of all the different Crystals beautifully displayed. I couldn’t wait to attend her Workshop. The Workshop lived up to all my expectations and what was even more wonderful was that Jacquie had brought boxes and boxes of crystals with her for all of us to look at and if we so wished, purchase. The crystals were all laid out on a long table and it was impossible not to feel the buzz and waves of energy wafting across the room as Jacquie instructed us on the types of crystals and their uses. Naturally, I purchased several that weekend and booked into her forthcoming Advanced Crystals Workshop that was to be held some weeks later. Jacquie’s Advanced Crystal Healing Workshop lived up to the reputation of her first one and I came away from it with another heavy bag of crystals to add to my growing collection. By now I was using crystals in most of my healings. Sometimes I would have to take the crystals off my client mid-way through their healing as I would find myself becoming totally spaced out. Once that happened, I knew that my Client was getting far too zapped by the combination of Reiki and Crystals. This would result in a few days of feeling exhausted and light-headed for my client as their Energy Field was not able for the strength of it all. Either Reiki or Crystal Healing would have to be used on their own for the first few healings until their energy field had become more accustomed to the power of the combined forces. Generally this happened to clients whose energy fields were very low. Low energy fields needed initial gentle healings before going in with all guns blasting. I now had done three Crystal Healing Courses but did not have an official qualification so I found an Online Diploma Course that suited my needs. Lessons were sent to me and I would have to complete them and then submit assignments and homework before the next Lesson would be forwarded. I knew most of the Course work as a result of being on so many workshops but I needed my Diploma to actually call myself a Crystal Healer. Once all the Coursework was completed along with final assignments and homework, I was sent an exam which had to be completed in a couple of hours and then submitted. The exams for online courses are often very tricky because the questions are worded in a way so that the answer is not straightforward. What I am saying is that it is not a case of just quickly looking up the answer in your notes and then typing it in. Answers had to be well thought out and a lot of the questions began with, ‘in your opinion’ etc. so it was impossible to cheat. Thankfully I passed my exams with Honours and received my Diploma in the post. Some time later, I began to be approached by my clients and other Healers to put together a workshop so that I could pass on some of what I had learned about crystals. Once more I sat down to write and eventually compiled a ‘Simply Crystals’ Workshop Manual and began to teach it to groups and also on a private basis. Some of my Clients just wanted to learn enough about Crystals so that they could use them for their own benefit at home, while others were HealerS who were interested in incorporating Crystals into their Healing Practice. I plan to make my Simply Crystal Workshop Manual available through this site in the coming months. Once I had been introduced to crystals, had studied several courses and received my Diploma in Crystal Healing it was quite natural that I would want to explore the area of Dowsing. Dowsing is the art of uncovering information that would otherwise remain unknown, by means of a Pendulum, Dowsing Rods or Dowsing Bobber. When we seek information, our conscious mind often blocks us from accessing it because it has been programed to analyse and dissect all incoming and outgoing information according to a certain set of belief systems. If the information falls outside this belief system, it can easily be intercepted and then discarded, redirected or blocked by the conscious which acts like a form of giant-sized body guard who will just not let you in no matter how much you plea with him. His job is to intercept anything that is perceived to be dangerous, suspicious, unusual, unexplained and unlikely. Unless it has a logical explanation and can be seen or experienced within our normal range of senses, then it can be cast aside. Our conscious is our reasoning, logical and analytical call centre that keeps us on the straight and narrow and helps us function in the normal world. It does a wonderful job and many people work hard to strengthen their conscious will so that they can project it into their surrounding world and environment. The Magician nicely represents the conscious mind. However, when the conscious mind becomes too strong, the subconscious mind can suffer as it gets pushed further and further into the background. Our subconscious plays a vital role in keeping us alive and functioning, and is just as important as our conscious mind. Without it we would lose our ability to sense when something is not right, when we are in danger, when we need inspiration or to act conscientiously. We would lack an imagination, creativity and sensitivity. We would not be able to feel our way out of or into a situation and we would only be able to judge things and people on face value as our gut instincts would have vanished. In a nutshell, if we couldn’t see, feel, taste, smell or hear something then we wouldn’t believe it existed. We would only be able to solve problems and find solutions to situations if they presented to us in a certain manner. Outside of that, we would be lost and act in a very mechanical way. In modern day society when so much is done for us, things just happen instantly. We expect life to run in a certain manner. We do not have to rely on our subconscious too much. It is only when something happens, goes wrong or life starts behaving in a manner that we have not been programed for, our conscious goes into meltdown and cannot filter the incoming data sufficiently as it has not been exposed to it before. It is then that we must fall back on our subconscious to help us out of our situation or a solution to our problem. We must access The High Priestess. If we find ourselves stranded in the middle of the night with not a house in sight, our phone battery dead, no fuel in our car and no food or water, our conscious mind can only do a certain amount for us, that is is we don’t panic. Our subconscious mind can then kick in and we can fall back on our natural instinct for survival. Our subconscious will send us urges or impulses that will assist us firstly to stay alive and secondly to find our way back to safety without a map or phone. It helps us to use our natural skills and instincts instead of relying on what we think we should do. We think we should take the route where we can see a distant light for there may be a house in that direction, and there we can get help, but something does not feel right and we begin to feel nervous about heading in that direction. We cannot understand why we feel nervous, but we just don’t want to go that way. Instead we follow a path that seems illogical but feels right. We find ourselves two hours later at the edge of a motorway where we find an emergency phone and call for help. When help arrives we are told that we are lucky we did not head in the other direction as that would have led us deep into the mountains or forest where there were dangerous bog holes and deep ravines. We tell them of the light in the distance but are informed that it is just a light that was put up years ago for forest workers and has never been taken down since. So, even though our logical mind told us that it was the most sensible thing to do, to follow the light, our subconscious mind knew better. But how did it know of the dangers that lay in that direction if it had never been there before? It knew because it sensed it. Essentially what the body has done in this instance is to use its own energy field to extend into the surrounding energy field of the land and environment to seek information from it and vice versa. Any wildlife that happened to have been in the vicinity on the occasion of us getting lost would have sensed our presence a long time before they had seen or heard us, for they too would be Dowsing their area with their own Energy Fields to check for any threat to their personal safety. Our Energy Field can extend its tentacles to quite a distance and some people are either naturally born like this or train to expand their Dowsing abilities over vast areas. However, we all Dowse with our Energy Fields and the best example of this is when someone enters our ‘Personal Space’ . Your Personal Space, which is the normal everyday expansion of your Energy Field is usually calculated by extending your arms as far as they go. This is where we get the saying, ‘keeping someone at arms length’. In a normal situation, you can mingle in groups and crowds of people on a day to day basis, that is unless they come too close and invade your Personal Space. Unless it is a close friend, family member, child or partner, you then begin to feel uncomfortable and slightly threatened. Your two Energy Fields have merged and you will feel it is too intimate, too close for comfort and too personal. Your natural inclination will be to move so as to regain your space and get the other person’s Energy Field out of yours. What you are doing is Dowsing with your body even though you do not realise it. So we are all Dowsers and Dowse everyday, even down to deciding what to wear, what to eat, what shoes to buy. It happens automatically. However, what happens when you actually intend to Dowse for something. You are effectively looking to access information that otherwise is inaccessible to you or very difficult to obtain. To actively Dowse, you need to be crystal clear in your intention of that which you seek information on, and then the most difficult part is to try and disarm the conscious mind from intercepting and interfering with the information your subconscious is trying to relay to you. This information is the result or answers to your Dowsing. People Dowse for any number of reasons but let us say that we have lost our car keys and just cannot remember where we put them. The knowledge of where the keys are is there, as it was ourself that put the keys away, yet at present it is hidden from us. We decide to Dowse to find out where the car keys are and to do this we use, in this instance, a Pendulum. Our question to the Pendulum needs to have a definite yes or no answer so we word our questions in this manner. This is basic Dowsing and we can expand on yes and no questions but will keep it simple at present. We ask the Pendulum if our car keys are in the kitchen and we get a definite no, we ask if our car keys are in the front room but as we ask our conscious mind kicks in and tells us, how can the keys be in the front room when you didn’t even go in there yesterday? Our conscious mind has intercepted and has tried to exert logic over our search. This instantly stops the Dowsing in its tracks. We then can chose to ignore the conscious and continue Dowsing the front room, or leave because there is no point searching a room we were not in. If our conscious mind has won, then we will leave the room. When the keys are found down the side of an armchair in the front room by our partner three hours later, we suddenly remember walking into the front room as we came in the door the evening before. The phone had been ringing and when we answered it we had walked into the front room and sat on the arm of the chair, still with our coat on, and chatted for about ten minutes before going to take our coat off and starting to make the dinner. Our conscious mind had forgotten this information but it was still there in our subconscious mind and we could have tapped into it to find our car keys. So you can see that whereas Dowsing is a simple act and comes naturally to us all, it is when we deliberately Dowse, we have to work hard to prevent our conscious mind from interfering. Otherwise our results will be tainted. We also have to be on our guard to prevent our subconscious from obliging us with results we strongly desire but are not possible or true. Just life a Tarot Reading can become tainted by having an overriding desire for a certain outcome, this will also happen when Dowsing. Balance is required along with a strong ability to detach oneself from the Outcome. Dowsing is a fascinating subject and one which I will be writing much material on. However, now is not the time to go into all the details. I simply wanted to make you aware of what I wanted to get trained in. 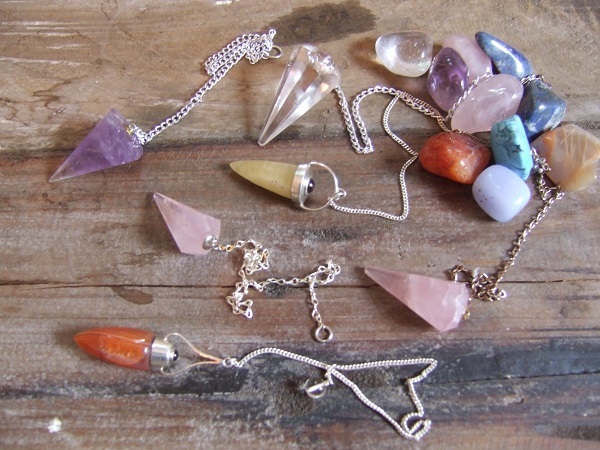 As I had already trained in energy, and when working with crystals I came upon crystal pendulums just about every day. I had also been shown how to use a Pendulum during Healing for Dowsing the Chakras. Each Chakra would be Dowsed to see how balanced and healthy it was. The Pendulum during Healing was also used to stimulate or calm the Chakras. This will be explained in detail when I publish my Reiki and Crystal Healing Manuals. What I wanted to do was extend my knowledge and ability with Dowsing. I wanted to be able to use Dowsing Rods, to check for underground water, geopathic stress and paranormal activity. I knew the energy was out there and had felt it waft in waves around me. I had also experienced Spirit Energy which felt very different to the energy of the living. My head was constantly filling with energy and my hands buzzing as if they were attached to electrodes. I needed to see what more I could do with this energy. In May 2007 I signed up for a course to become a Certified Dowser. A friend joined me and we headed off up the Wicklow Mountains for our course. We were part of a small group of varying ages. A lot of time was given over to the theory side of Dowsing and the nature of Geopathic Stress and Ley Lines. Eventually as the course progressed we moved onto the practical side of Dowsing and this is what I was very excited about. I had already completed a homestudy Dowsing Course and now wanted some hand’s on practice and experience. We were each given a set of Dowsing Rods and shown how to hold and use them. Then we were brought out to an open field that was bordered by low drystone walls. Some sheep were grazing quietly in the field. Our tutor told us that the field had many underground water lines of varying sizes and widths. He knew exactly where all of them were. He now wanted us to find them ourselves using the Dowsing Rods he had given us. We all stood poised at the top of the field with our Rods held out in front of us. We were told to focus our intention so that we sensed the water through our feet and then it would be transmitted to the Dowsing Rods for visible confirmation. So we all set off walking very slowly. I kept telling my feet to find the underground water. We were looking for underground water and everything else was to be blocked out. I walked very purposefully, wanting my feet to do the talking. I felt my head go funny before anything else. It felt heavy and pressurised. Then I became aware of a pull on the Dowsing Rods and they started to close in on each other and crossed over. I called over to my tutor and he acknowledged that I was indeed standing on top of a known line. He asked me to continue and to let me know when the Rods returned to normal. I walked slowly with the Rods locked together. After a few moments they began to unlock, bit by bit until returning to their normal forward facing position. I called my tutor again and he told me that this was were the underground water line ended. I had marked the width of the line as I had crossed from one side to the other. He then asked me to see the direction the water was flowing in. I now knew its width but which direction had it come from and where was it heading? To do this I turned around and stood at the edge of the known line and asked the Rods to show me from my right side the direction the water was flowing from. I concentrated on my feet again, asking them to feel for the water. The Rods began to move but this time they both moved in the same direction to the right. They moved about 30 degrees and stopped. I made a mental note of this and did the same for the left side. This time the Rods sway back and forth and would not settle. I told my tutor of my findings and he said that both were correct. The swaying back and forth on the left side had first indicated the direction but the sway suggested that it twisted and curved as the line went on, not sticking to any particular direction, so it was hard to give me an exact answer. This made perfect sense to me and I was amazed by my findings. The sheep had seen it all before and didn’t even bother to look up at us. I was very excited indeed. At one stage an elderly gentleman approached the tutor and was concerned that his Dowsing Rods were not working as he couldn’t get them to move. I felt sorry for the man as the Rods themselves had no powers, they were just a means of making visible the information that was coming through the body. The tutor asked if I would swop my Rods with the man’s, for mine had been proven to work. I handed mine over but the tutor held on to the man’s Rods. I was puzzled and then a bit perplexed when he told me that I didn’t need the Rods at all as he wanted me to Dowse with my body. I could use my hands, feet, head or my whole body but that I was to feel for the next underground line with body and let him know when I had found it. I was a bit disconcerted but set off as ordered. I moved even more slowly this time and tried to block out all the chatter that was going on around me. I ignored the sheep too and moved into a concentrated zone. It didn’t take long to notice a shift in my energy. I held my hands out in front of me and suddenly I was filled with a pulsating energy in my head and hands. ‘Here’, I called out and I was rewarded with a thumbs up from the tutor further up the field. I moved slowly until my head began to clear again and called out once more. I got another thumbs up. Well I never, thought I, I could Dowse with just my hands and had no need for tools. However, I like tools and was certainly not going to forsake getting my own Rods and Dowsing Bobber (my favourite Dowsing Tool) just because I could use my hands or feet. I had done all that in Reiki and wanted to feel that in some way this was different. Actually, the body scan in Reiki is the same as Dowsing. It really was just an extension of what I was already doing. We were all exhausted when we returned to the classroom and realised that Dowsing can take a lot out of you. We were presented with our Certificates and went happily on our way. I now felt more confident in my ability to Dowse. However just a couple of weeks later my son was diagnosed with an inoperable tumour. He had been ill for some time and in and out of the ER on a weekly basis with no definite diagnosis. I knew something was wrong and had constantly challenged his medical team about this. They would look no further than the tests they had carried out on him and told me that I was just suffering from the stress and worry of having a child who was chronically ill. As detailed in my Tarot Work, I had in desperation consulted the Tarot to ask what was wrong with my son. The Tarot had given me the answer in no uncertain terms but I did not want to believe it. I just threw the cards aside and chided them for just being cards and therefore could not be counted on or believed. However, I could not get their message out of my head as it had confirmed my suspicions. I had broached the possibility of a brain tumour with the doctors but because they had already done a scan, they refused to look a second time. I couldn’t tell them that both I and my Tarot Cards saw that something bad was affecting his brain and that the prognosis was bad. Now that I had Dowsing I used that too and when I tried to Dowse my son’s head area, he couldn’t handle the pressure he felt. I was left with a serious ache and heaviness in my head. The Dowsing was confirming that something was wrong in the head area. My son eventually reached a state where he could hardly walk a straight line and he had double vision along with the severe headaches and vomiting. After refusing to leave ER one day, my son was reluctantly admitted for further testing. I was not treated very well by the medical staff who looked on me as some hysterical type of mother who obviously had personal problems. It took them nearly a week to get around to doing a Brain MRI, and no longer than twenty minutes after that to give me a diagnoses of death. It didn’t really come as a shock to me as I had known all along that something was wrong. Regardless of what courses I had done, I had always been Dowsing my son’s Energy Field on a daily basis and it had given me the information. I had just needed someone else to actually confirm it. The Brain MRI had turned out to be my Dowsing Rods. I had all the gut instincts, but the mainly conscious oriented and trained Doctors needed to see the Rods moving before they would act. My tutor had trusted my ability to just sense and know, but the Medical World does not work like this or understand. The day they gave me the death sentence for my son they also gave me an apology. They shook their heads as in disbelief and said, ‘you were right all along, there was something terribly wrong with him and we are so sorry that it took this long to diagnose his condition’. When they left me some time later, a nurse who had been sitting with me to offer her support couldn’t help but utter her dismay. Holding me, she said ‘you should always listen to a mother. If she says there is something wrong with her child, then you can bet there is something wrong with her child. When will they ever learn?’. What she said was true and even though she never mentioned the word Dowsing, this is what she was referring to. Mothers have such a strong connection with their children that their energy fields are constantly interacting with each other. Just look at new mothers who wake minutes before their babies, alert and waiting for their cry. Even when children are grown up and maybe living and working at the other side of the world Mothers can sense if they are not happy or when something is wrong. After my son’s diagnoses my world obviously turned upside down and all my work disappeared into the back ground. I did however use Reiki on him and his beloved crystals. I took him to see many therapists and tried everything I could to help him battle the cancer that was determined to take him away. As his health failed I began to realise we were losing the battle and felt abandoned and let down by all these wonderful spiritual gifts I had been given. I had helped so many other people, but here I was unable to do anything for my own son. It was devastating. After my son’s death in December of 2007, I shut down and turned away from all my work. I didn’t want anything to do with it anymore and was very angry. May cards lay in a box untouched, my healing plinth gathered dust and my crystals ignored. I was finished with everything. I was finished with life and thought my own time couldn’t’ come soon enough. Some month’s after Conor’s death I went to see a Medium as I badly wanted to connect with my son. I was worried about him and needed to know that he was okay and safe. I had happened upon a woman not too far from me. She was from Dublin but was living in Kildare. I had to wait a couple of months to get an appointment as she was very popular. I gave her no information about why I wanted to see her and so just turned up on the day, hopeful, but tried not to expect too much. As soon as I walked in the door she told me that a female energy on my mother’s side, a sister who had passed in the last year was coming through. I knew who it was but as much as I appreciated her popping in to say hello, I was really hoping that Conor would come through. I got a little panicked about her blocking Conor from coming through if he was around. My mother’s sister had died a few months before Conor so I was convinced it was her. I actually told the Medium that whereas I knew who she was, it was not her I had come to connect with. The Medium explained this to the energy that was coming through and she said that she understood and just wanted to say hello. I know that this probably sounded quite cold coming from me but my aunt had lived to a grand old age and couldn’t expect anything more than death to follow. My son however was snatched, or decided to leave ahead of schedule. His schedule was obviously very different to mine. It took only a minute or so for her to retune and she announced that she had a tall, young, thin male energy by her side. He had passed over due to some trauma to his head. He kept drawing attention to his height and thinness and I became very emotional. Conor had gained a lot of steroid weight during his illness and totally lost his normal look. He just disappeared behind steroid bloating and his hair had fallen out in clumps. He hated the weight and was very self conscious. On one occasion when I took him away to a hotel for a break there were other kids around and I asked him if he wanted to hang out with them for a while. I will never forget the look of despair on his face as he declined stating that no one would want to hang out with such a fat boy. My heart broke for him and I explained that it was the medication that had made him bigger and not anything he had done. He now wanted me to know that he had lost all that sickly weight and was tall and slim again. I had seen this myself when he was eventually laid out at home. We marvelled at the time at how much he had grown and how thin he had got in the final weeks of his life as he had lain motionless in a hospital bed. The Medium told me a lot more and I couldn’t find fault with anything she had to say. She asked me what he meant by ‘having rocks in my bed’ and I laughed. Conor often slept in my bed or would come into me first thing in the morning for a chat. I regularly took crystals, chunky rose quartz into the bed at night to help calm and de-stress me. Of course I would fall asleep, and the crystals would roll from my hands. Conor used to jump into the bed and suddenly yell out as he landed on one of the rough quartz. He would shout at me, ‘stop leaving those rocks in the bed’. So yes, I knew what she was talking about. He also told me that birthday wishes were in order and I explained that it was actually his birthday that day. She also told me that he was wishing a female, like a sister but not a sister, a happy birthday too. His cousin who he was extremely close to also shared the same date as his birthday but was two years older. The night before his birthday I had lain on my bed and listened to his favourite song, Wonderwall by Oasis. Every time it finished, I would get off the bed and press play once more. I did this several times as I sobbed silently on the bed. The Medium asked me why he was talking about a song and it stopping and starting all the time. I had to laugh. She then got a bit of a start and told me that there was a dog running around my feet and chair, a dog from the spirit world. I asked her what type of dog it was and she told me it was a Cavalier King Charles Spaniel. I asked her what colour and she said it was black and brown. A black and tan Cavalier, my lovely Lillie, dead exactly three months before Conor as a result of old age. The Medium told me that he was happy to have her and thought that I would like to know that. Conor told her that it was his time to go and that nothing could have changed that. He spoke of other children on the ward who had died that night. He had said he had expected to go a couple of weeks prior but was waiting for someone to come and fetch him. He said he was waiting for an elderly man to come and an old soldier. He explained that when he did eventually go, it had taken him by surprise. Then The Medium became very serious and she told me that Conor was telling her that I was very tired, not just physically tired, but tired of living. I was in tears at this stage and admitted that all I wanted to do was go myself. I didn’t want to be here anymore and had had enough of life and so-called living. However, she said that Conor was adamant that it was not my time yet and that the time I had left on this earth was sacred as I still had work to do. She asked me why he was showing me his hands resting on my hands. Then she said she understood. She asked if was a healer and I explained my background. I told her that I had turned away from my work as I was disillusioned with it all. She said that Conor was insisting I return and that by putting his hands on mine, he would work with me and through me. She asked me about Cards I read and I told her I was a Tarot Consultant and Teacher. She told me that I would be working with Tarot in a different way in the future but couldn’t explain what she meant by it. Conor told her that I needed to give myself time to heal and grief and to let things go. She told me a lot more but I won’t go into it all. Before we finished up, she started to laugh and said that Conor was giving out about the state of his bedroom. He told her there were papers all over the place. I explained to her that I hadn’t wanted to close up his room as then I would find it to difficult to walk back into it. Instead I had decided to move my office into his bedroom so that I would feel close to him as I worked. At that moment in time, I had box files, and yes, papers, all over the place so I could understand why he was annoyed. I took my leave of her and with a much lighter heart travelled home. The visit and the communication had comforted me. I didn’t feel so alone. I decided to go back to my work and shortly after that set a date for the third part of a tarot course. The particular group I had been teaching when Conor became ill had just graduated from Part II, The Court Cards, the night before Conor was diagnosed. I had actually driven home from the hospital to present them with their Certificates. I had driven back to the hospital later that night. This group never put any pressure on me in relation to Part III of the Course as they wanted to give me time. I realised I had unfinished business to complete and so sat down to begin writing up the final parts of Part III, The Major Arcana. Getting back to my writing gave me focus once more and a goal to work towards. It was around this time that my plans for studying Past Life Regression also resurfaced. I had been about to enrol on a course when Conor was diagnosed. Everything fell into the background at this time as I struggled to cope with my son’s terminal illness. Once the writing had started again, it seem to trigger interests in other areas and I was certain I still wanted to study Past Life Regression. The search began in earnest and I prepared to continue on my Spiritual Journey. I have been fascinated all my life with reincarnation and the accounts people have given of Past Lives while under hypnosis. I have read much on the subject and watched some amazing television documentaries about it. Once I became involved in Tarot and Reiki, I began to consider going one step further and getting trained as A Past Life Regression Hypnotherapist. That was to turn out to be the easy part. Once I started searching for a school or tutor in Ireland who dealt with this subject I came up against a brick wall. I couldn’t find anyone who was teaching it, let alone offering it as a therapy. Yes, there were some therapists who offered Past life Therapy through guided meditation but I was looking for Hypnosis which I knew to be the most reliable method of accessing Past Lives. I finally had to settle for an online course that offered qualifications in Past Life Regression Hypnotherapy. The course worked on the basis that all theory work would be conducted online with heavy home study, followed by submitting assignments and homework before one could move on to the next lesson. Then there was the practical work part of the course, the ‘exciting stuff’, where one one was actually taught how to Regress Clients. For this I had to travel to the UK and spend some time there working extensively in this area on a daily basis. I went to The UK in May 2008, only months after the death of my son. I had launched myself into my studies prior to that and had received top results in all my exams. I suppose it was a form of distraction for me after a time of trauma. I spent a lovely time in the UK and got to Regress several people. I also received vocal coaching so that I could pitch my voice accordingly. I passed my final exams there and flew home proud of my achievements. However, I was nervous about actually trying it out on paying clients so arranged a few guinea pig friends to help out. I suppose I really didn’t expect it to work once I was flying solo without my tutor, but it did and I got the shock of my life. My friends too were amazed. I had bought myself a digital recorder and had recorded their regressions. Once I had copied them onto a CD, they were able to listen to them and were astounded by what they had revealed. I then felt confident about offering it as a new Therapy in my Practice. Once I advertised Past Life Regression as a therapy there was great interest as it was hard to find anyone who was offering it. Clients came from all over the country excited about having a Regression. The process of Regression that I was taught is quite lengthy and often went on for up to three hours. Regressions were especially long if I got what I called a ‘talker’. These were clients who were able to go into deep hypnosis. Their Regressions were crystal clear along with their rapid fire line of communication. Sometimes when conducting a Regression a client can take minutes to answer a question you have asked them. You have to be patient, but if they take too long, then you can prompt them or subtly force them. The thing is you can see by their eye movements that they are watching something but they can get so distracted and caught up in what they are seeing, they either forget to answer you or decide to ignore you as you are interrupting their viewing. When this happens you have to be a little more forceful with them to get their attention. After all, they want to have something on their recording to listen to when they go home. Clients undergoing Past Life Regression will always see and experience more than they communicate to you. It is like me standing in the kitchen doing ironing while asking my partner to tell me what is happening in the movie he is watching in the living room. He is never going to give me all the details of everything he is seeing as he will miss some of the dialogue if he does, and also he won’t tell me every tiny little detail. Therefore it is important to prompt them to be as explicit as possible, and to ask the correct questions that will yield the results you seek. You must think of yourself as a Talk Show Host who is being given the opportunity to interview a world famous celebrity. You only have a certain amount of time, and in that time you must get as much information out of them as possible. The difference with the Past Life Client is that they want to give forth the information while the Celebrity will try to avoid opening up and will deliberately side-track certain uncomfortable questions. The ‘Talker’ wants to tell you everything and sometimes runs ahead of you with details. Normally I have to ask the Client to move away from where they are and to let’s say, go to the place where they live, where they call home. The client will often tell you that they are already there and have naturally gone themselves to see a certain person. The Regressionist must keep up with these movements as the Client under Hypnosis is now in another zone, and doing their own thing as far as the Regression is concerned. They are seeing and experiencing things that you are not privy too and have forgotten that it is in their own interest to tell you as much as possible. Just so that we are clear on this, the Client will always remember their Regression after they have come out of hypnosis. It is just that when you have a recording of it, you do not have to rely on your memory as much. The ‘Talkers’ give so much rich information and detail that it makes my job much easier. While under Hypnosis and recalling their Past Life, they will regularly begin to move around and do things with their hands, things they are actually doing in the Past Life. I had a client who in a Past Life was a herbalist. People from the local village came to her for potions and cures. She talked me through all this and getting prepared to mix herbs. She told me she had to put her special apron on and as she was relaying these details to me, she lifted her arms and seemed to be putting something over her head. Then she sat forward and put her hand behind her back as if to draw something out. I watched as she moved her hands and suddenly realised that she was tying the straps of her apron around her waist. She then smoothed the apron down and proceeded to appear to root in an invisible pocket for something. She told me she was taking out a handful of some herb that she always used to make unctions for reducing swelling from leg ulcers. It was such a pity that I did not also have a webcam recording her movements as I am sure she would have been quite moved and astounded by not only her verbal account, but also her visual one. Not all Past Life Regressions were successful. Clients would come, all excited about their imminent Regression but once we began to get close to the actual Regression Part, would become fearful and suddenly ask to be taken out of Hypnosis (a choice they always have). I would ask them what had stopped them and they would tell me that they had suddenly become afraid of what they might see or find out about themselves. This was always a pity as much work had been put into preparing for The Regression and the Client may have travelled some distance too. As my Past Life Regression Practice progressed I became more and more discerning about who I took on as a client. Fear is one of the major blocks to being Regressed and I have to be sure that the Client has no doubts in that area and is prepared to accept what they recall. To be honest, most Past Lives are very normal, ordinary and with nothing major to report. We have all lived both ordinary and extraordinary lives in the past so we must take both on board. I have had a few clients with really incredible Past Lives and hope to one day share them with you once I have being given their permission. My work with Past Life Regression naturally moved on to ‘Life between Life Regression’ when I had a Client I thought was suitable for the process. I am a great fan of Dr. Michael Newton PhD, and all the work he has carried out in this field. His books, Destiny of Souls and Journey of Souls for me where life changing. I also read his Therapist’s book and shortly after that began to seek out Past Life Clients who were interested in seeing if they could access the Spirit World once they passed over in the Past Life they were recalling. Life between Life Regression focuses more on the journey of the soul into the Spirit World after the process of death and what it does once it is there. It also attempts to yield information about the nature, structure and hierarchy of the Spirit World through information supplied by the Client who is witnessing this first hand. I am very happy to say that I have managed to successfully guide several clients into the Spirit World where they have given me very detailed information about it, their Soul Group, their Soul Level and their particular Soul Skills. Many have met with their Spirit Guides, and with their permission have included me in their conversations, with their Guides talking to me through them. When this happens, the Client sitting in the chair takes on a certain demeanour and their voice changes to a very soft and calm tone. They call me ‘the woman with all the questions’ but also block me if I ask something that they do not wish to answer, or that they believe will affect the life choices the client must make for themselves. One of the extraordinary aspects of Life between Life Regression is that my deceased son has turned up a few times while I have been conducting my line of questioning. The Client will interrupt me and say that someone else has joined them. I ask is it one of their Soul Group, but they just tell me that it is my son and he just wants to say hello. Sometimes he gives them messages for me and advice about how I am conducting my life. When this happens it can become very difficult for me because I must remain the Therapist and not the Client, even if I do want to ask my son more questions, I have to just thank him for making his presence known and that I am happy that he is happy. I then tell him I must return to my work with my Client and he always moves away and they tell me that he has gone but has waved back as he was leaving. I plan to write more about my experiences with Past Life Regression and will post in the relevant Section of the Main Menu. I do hope I will be able to bring you some of my client’s recordings so that you can listen for yourself. Regardless of how simplistic a Past Life Recall can be, the Client always gleans some important information about their personality and current life which helps them to understand themselves better. And so my Journey continues and I must keep moving forward. Life has taken me on some terrible twists and turns but I now know that I have to stick with it and not give up. The future has yet to unfold and I am sure to have many more experiences to share with you. We are all on our own unique Spiritual Journey and must be brave and courageous. We do not know what tomorrow will bring as Scarlet O’Hara so fondly put it, ‘Tomorrow is another day’. One day we will arrive at a time when it will be our last day, no more tomorrows. Some of us will be aware that our time is up, but many others will be taken by surprise. All we can do is live each day to the best of our ability and work to realise our full potential and Spiritual Destiny. As for this Journey, it is but mine and mine alone to tread. I wish you all the very best of luck on yours.